Set of useful tools ready to by placed on your Dashboards. Great way how to organise your modules, separate your clients or brands. Stay focused! All our applications available on one click. 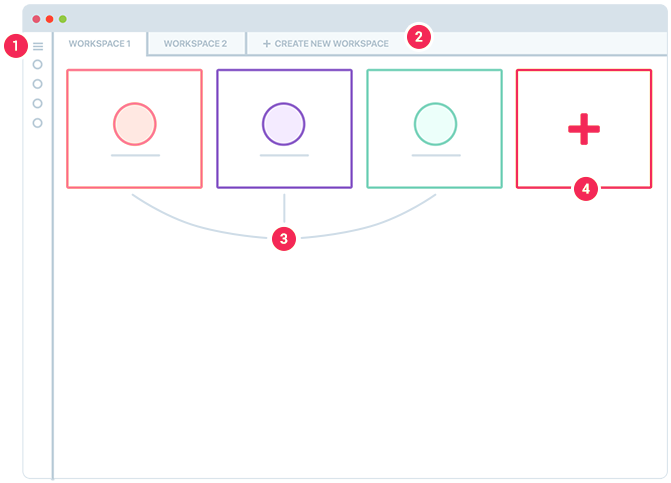 Share your modules with your teammates and collaborate together! 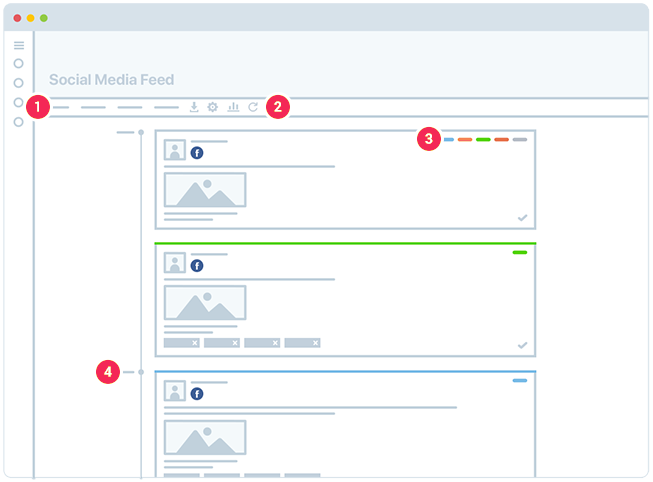 Designed to prepare, manage and automatically publish your content. Stay organised! 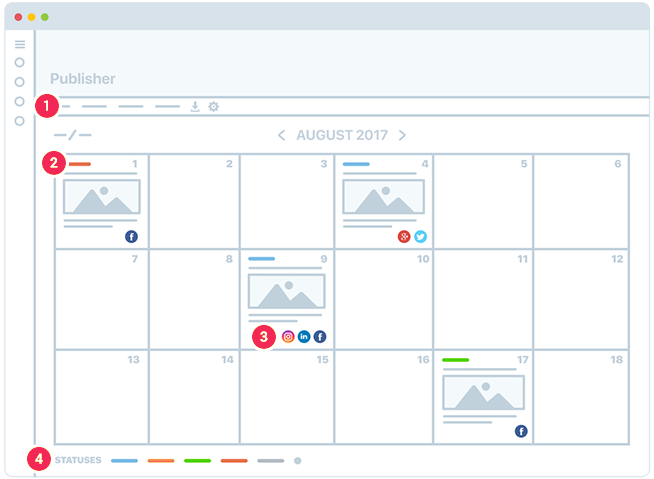 Filter particular group of posts easily and export your filtered calendar list alike in. 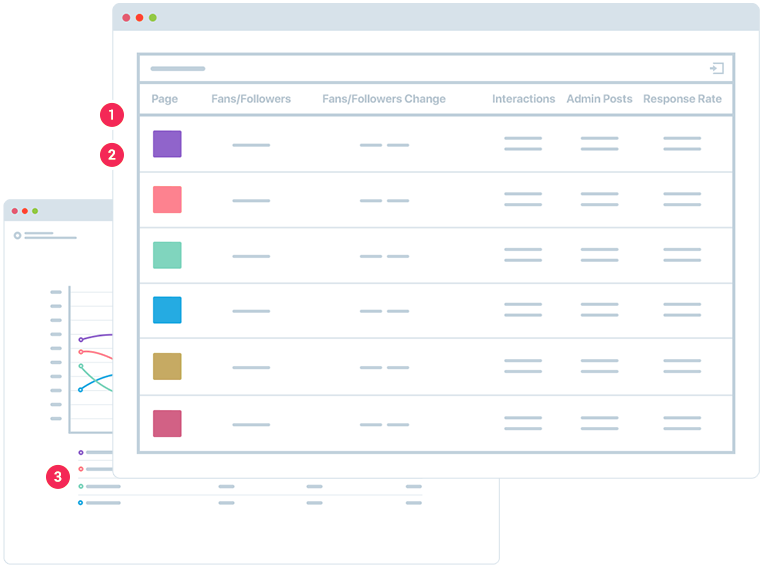 Define your content and follow the results in Analytics. Is it the Hard Sell what brings you the most? Share your content on more than one fan page at once. Facebook, Twitter, Instagram, G+ or LinkedIn. Just like that. Cooperate with your team, no matter how big it is. 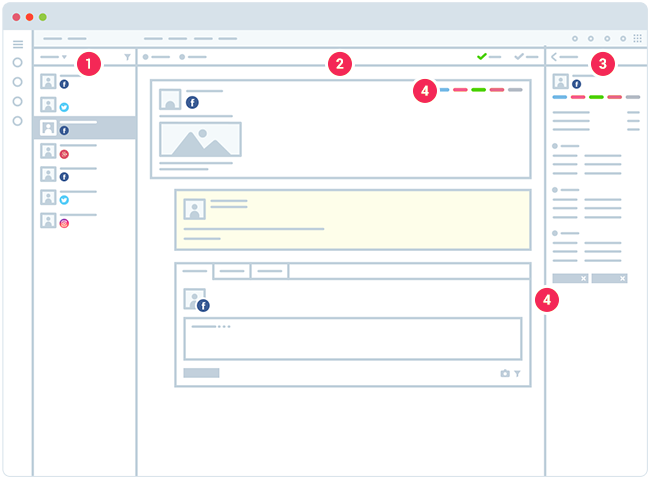 Define your workflow from draft to completed post and publish your content effectively. Community management connecting all your channels at one place. All the messages, comments, posts, email or tweets are ordered chronologically. You will never miss a message anymore. Cooperate with your team or agency when preparing a comprehensive answer for your fans. Be more effective in communication. Collect information about your fans manually or automatically via data steps. History of communication is included. Label and tag your messages and users as well. Filter it easily and get transparent statistics from your communication. Listen what are people saying about your Brand or competitors. 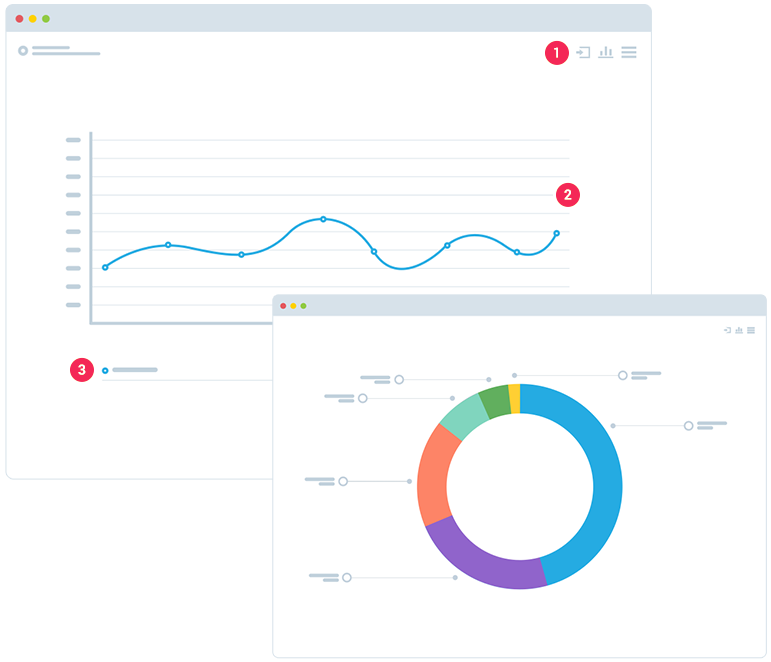 Monitoring helps you to identify the content your fans desire. Stay organised! Filter and export your stream in PDF. The stream is packed in transparent statistics with trends, top users or best sources. All the graphs are interactive. Search particular Keywords around social media and the web as well. Search for your brand or for your competitors and learn. All the graphs or tables from ZoomSphere can be sent directly to the Report Builder. Reports are updated automatically based on your preferences (month/week/day). Set your own header to follow corporate identity, the report can be exported as .pdf directly. To tell people more about your performance, to add more images and to be more clear in your reporting. Divide your report into chapters and be representative, use advanced features to prepare good looking output for your clients/boss. To evaluate your success you need a big picture! 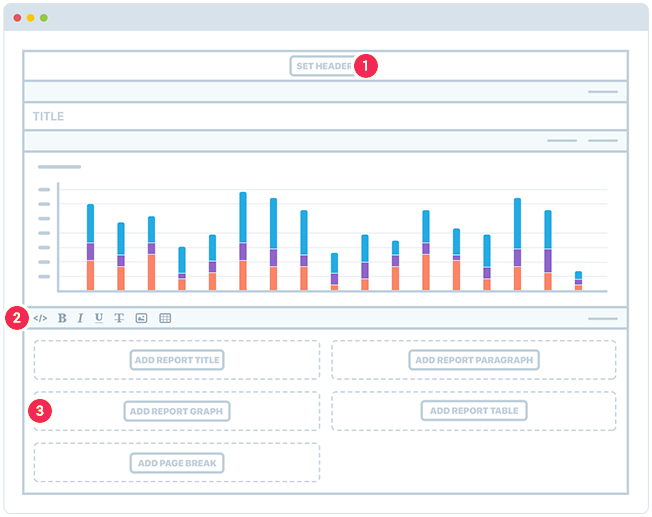 Compare your performance in real time with your segment or choose adequate competitor for better analysis. Find out what content is the best for your segment, what brings the most comments, likes or share to you and your competitors. Change the view or download in any format. All the competitors are listed in one transparent table. More than 150 metrics for Facebook, Instagram, Twitter, G+, YouTube and LinkedIn gives you a perfect overview of your performance. Graphs and Tables are interactive and that gives you unlimited options to follow your results. Change the view or download in any format. Choose your KPI once and follow. to interesting areas or turn off the metrics that bothers you. with the previous period, you can compare in a table or in graph directly.